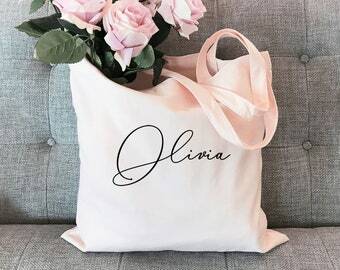 ♡ Enter Name OR Word EXACTLY as you want it printed. ♡ 12 Characters max including spaces. ♡ The more characters the smaller your text will be. 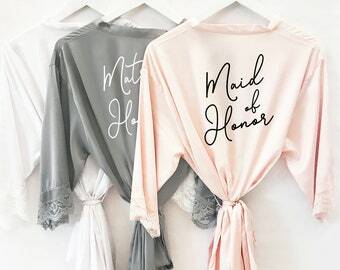 Personalized Robes make a cute gift for her on valentines day! 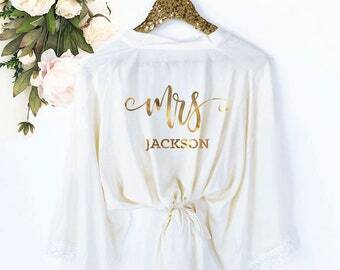 A great idea for a wife to have her last name printed on the back! 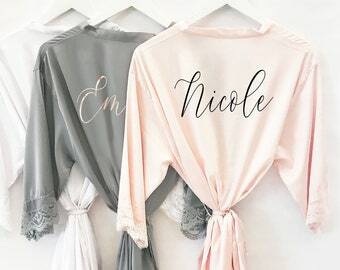 Our delicate lace trimmed robes come with her name on the back in your choice of gold foil, rose gold foil, silver foil, or black text. 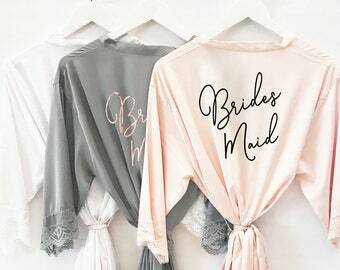 Each soft satin robe comes with a matching belt. 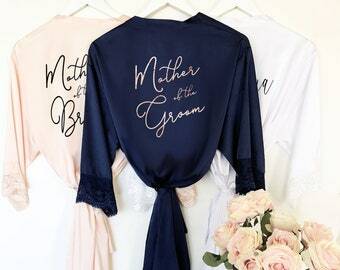 Listing is for 1 Lace Trimmed Robe - with name printed on back. 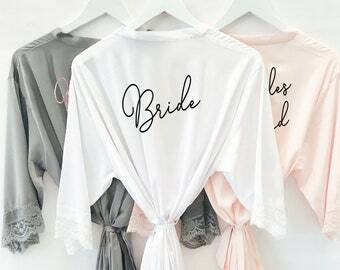 ROBE ONLY - other items NOT included but available in our shop. 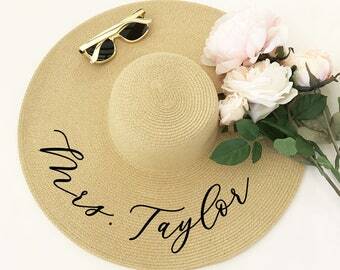 Text Color: Gold Foil, Rose Gold Foil, Silver or Black. 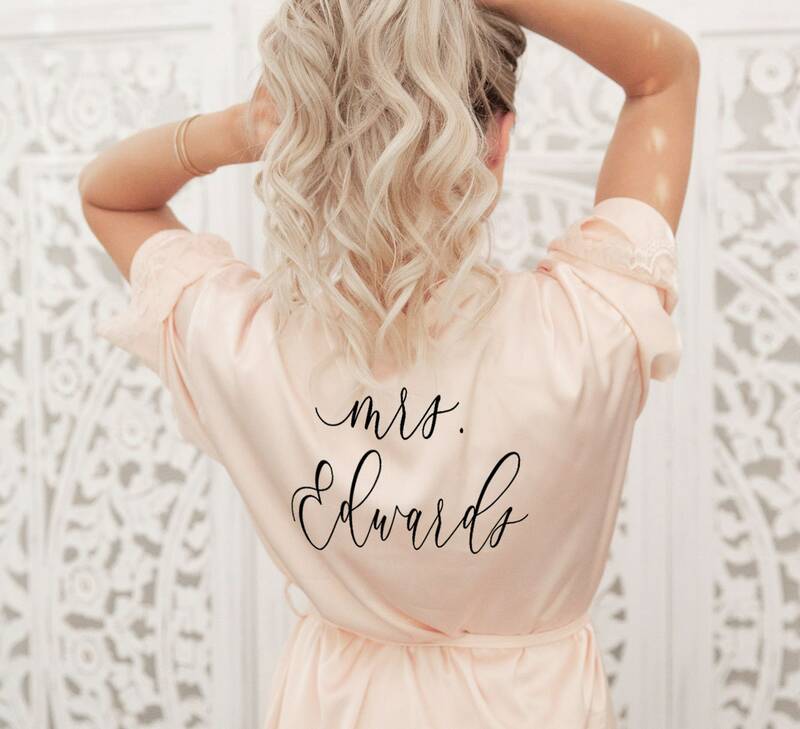 Please send your custom name(s) in the box provided at checkout. Thanks! More beautiful than I even expected! 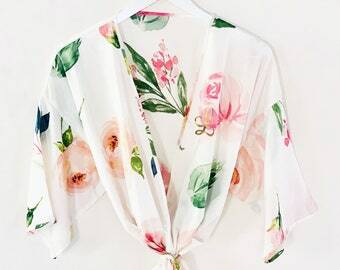 I’m absolutely in love with it! 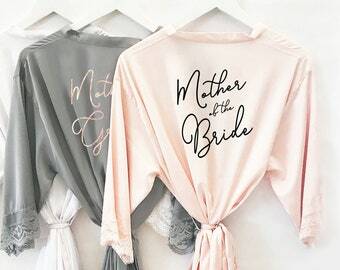 Can’t wait to wear this the day of my wedding! 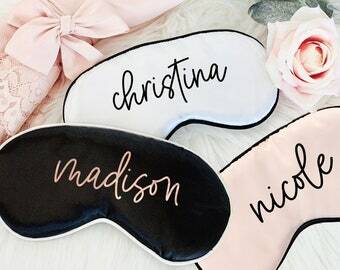 I love that these can be personalized with my MOH name. 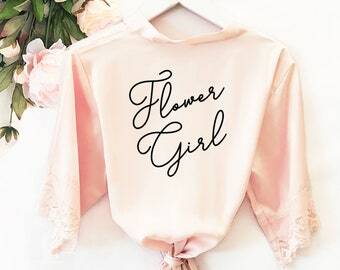 She has the most unique name and she is going to love her new robe!